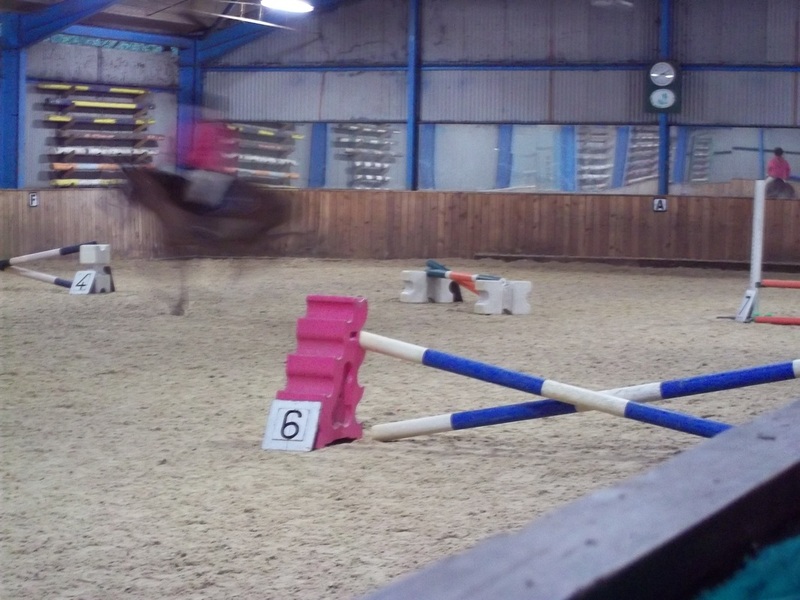 Qualifiers for the 2015 National Equestrian Riding School Equestrian Competition have been held. 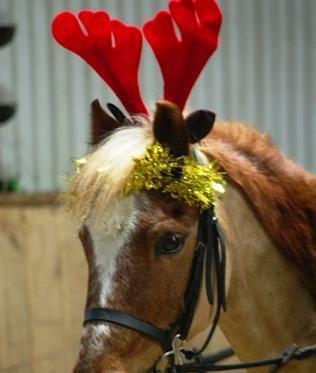 Arundel Riding Centre are pleased to say they will again be sending riders - 8 riders in fact and ponies as well ! 35 years ago Joy Leggett of Arundel Riding Centre started the Arundel Group Riding for the Disabled at the Arundel Riding Centre. 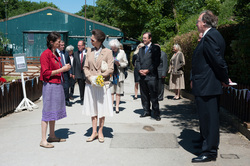 To celebrate this Arundel Riding Centre was delighted to host a visit by Princess Anne. Joy's daughter Alison is now also a Trustee and active helper of the The RDA Group. Link for more info and photos. What a great day and thank you to all of you who braved the rainy weather to come and support all the contestants who took part! Our Judges, Liz, Elizabeth and Jane (all well known at the centre) spent a great deal of time having a look and a chat with the contestants whilst trying to decide the winner of the Fancy Dress class (some pictures below) - Well done to Amelia Thomas and Tatty who came first. The pairs clear round jumping then proved a little harder to ride than some thought as passing the Christmas cracker seemed to be interesting to the ponies! Luckily there was no 'bang' in the crackers!! The 'pot luck' block elimination was great fun and the crowd really cheered the riders on! Then came the adults gymkhana games.......who thought there would be so much competitive spirit!! Ending with musical blocks, Roy won with great style! Daisy Coombe-Tennant then delighted the crowds with a stylish demonstration on Tucker as instructor Lauren gave a commentary. 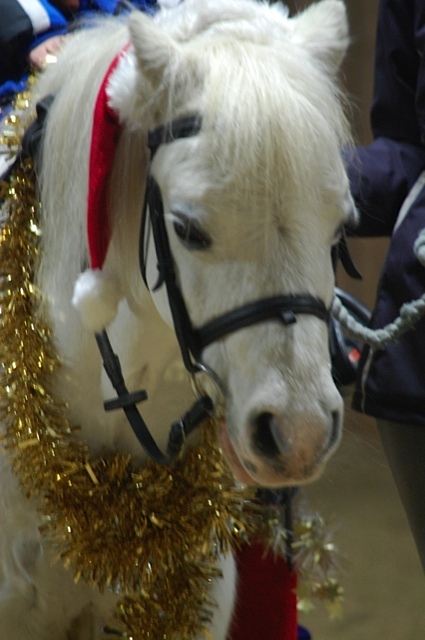 The grand finale proved a huge success as the Arundel staff rode a 'called out' musical ride, so they really had no idea where they were going..........but there were no crashes and the crowd really enjoyed the Christmas jumpers and Santa outfit! 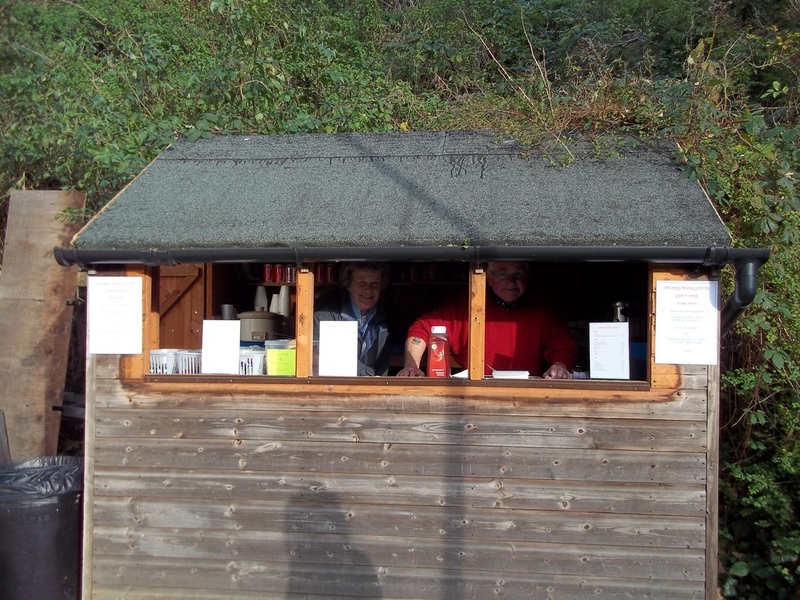 Once again The Shed was open and provided the crowd with warming drinks and even homemade mince pies - so another great big thanks to Ron and Jackie who gave up their time voluntarily. 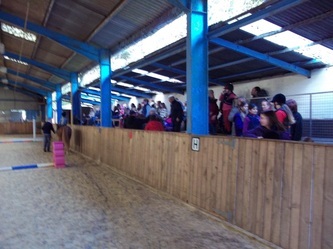 Thanks to Irene who took photos and of course to all the staff who made sure all the contestants and ponies were ready on time. Talking team tactics just before the pairs clear round jumping! We had a great response for this clear round jumping with a great number of riders bringing along family and friends to cheer them on. 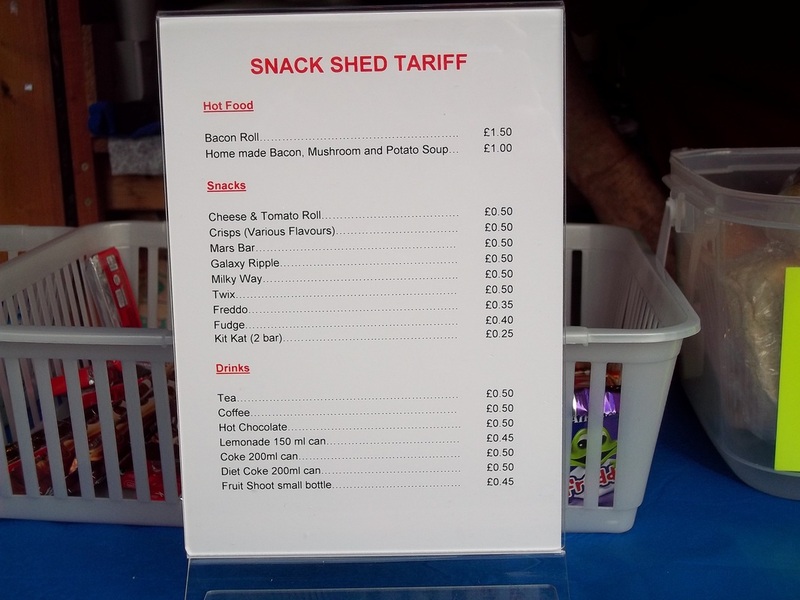 Here are a few photos from the beginning of the day (permission was asked on the day)....if anyone has any more from the day they would like to share with us please either call us or let us know in the office. 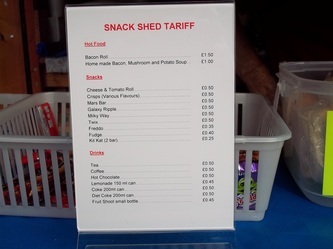 What a great menu for the day! The Shed...open and ready for business! Busier car park than we expected! 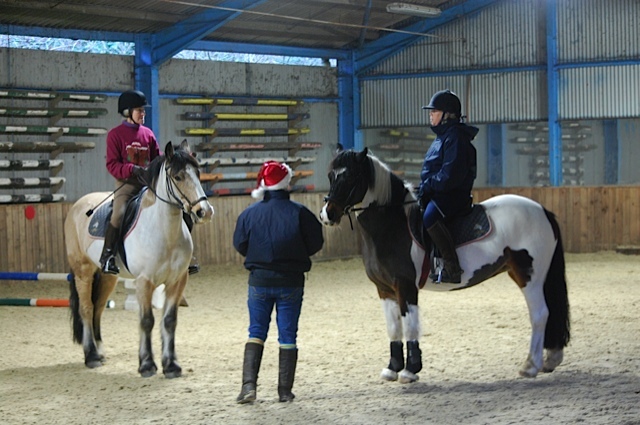 Watch out for details on when class lessons will be moving over the Christmas holidays - details are now on the Lessons and Activities page and will be up around the yard to help you plan your Christmas holidays! On Wednesday 13th November, Kilcarrol Lad was a star in a photo shoot for Womens Health magazine at Amberley Castle. 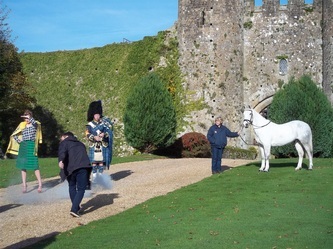 Affectionately known as Lad, he travelled to Amberley and was such a good boy whilst having to deal with the photographer, a bagpipe player and a model!! Waiting for the photographer to take the picture! Don't I look great in Tartan! 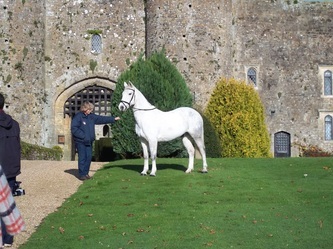 Seven riders and ponies from Arundel Riding Centre had a successful and enjoyable day at the Hunter Trials in Arundel Park. 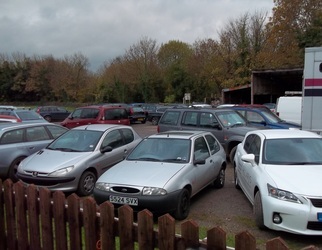 The riders, a mixture of customers and staff, hacked from the yard to the event. The classes were large with 50+ competitors - and competition was keen. 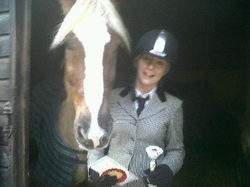 Katherine Twinn on Rupert achieved first in the Mini Mini class. Verity on Tatty came eighth. 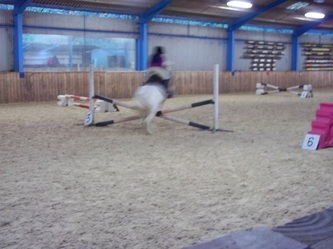 Ivan was second on Bobby in the Mini Class. 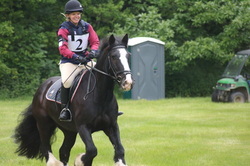 Dublin had his first outing - ridden by Megan Fletcher, also in the Mini Class. 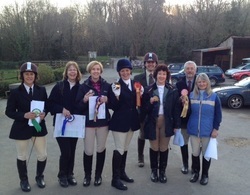 On Friday 22nd February 2013, 20 riders took part in this event at Arundel Riding Centre. Three riders Megan (1st in under 17) Emily (2nd in under 17) and Lauren (1st in under 13) qualified to take part in the BHS National Competition in March, in Warwickshire. This competition is open to riders at B.H.S Centres on riding school ponies (they may not be horse owners). There are three sections Dressage, Show Jumping and Horse Knowledge and Care. Classes are divided as follows 1) under 13 years, 2) under 17 years 3) 18 years and over. 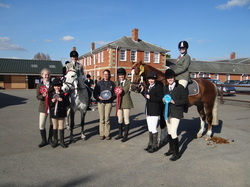 Three Arundel riders Megan Fletcher, Lauren Rippon and Emily Chalfont achieved 1st , 2nd & 3rd in the BHS National Equation Competition at Moreton Morrel, Warwickshire College in Warwickshire. Lauren Glasspool received the instructors plate as the main instructor for Lauren.